President Trump had a bad start in his governance in the United States, embroiled in bitter disputes with all kinds of people and suffering repeated frustration in promoting his agenda, but Trump has found a silver lining in dealing with North Korea’s nuclear and missile provocations. First, he has effectively replaced the previous administration’s “strategic patience” strategy with “maximum pressure and engagement.” Obama’s initial effort to freeze North Korea’s nuclear and missile tests came to a sudden end thanks to North Korea’s quick breach of agreement, signed with the United States on February 29, 2012, in which North Korea agreed to suspend operations at its Yongbyon uranium enrichment plant, invite IAEA inspectors to monitor the suspension, and implement moratoriums on nuclear and long-range missile tests, and the United States agreed to provide North Korea 240,000 metric tons of food aid under strict monitoring. After that, the Obama administration fell into a passive mode, dubbed strategic patience, which did not produce any positive change in North Korea’s relentless pursuit of nuclear-tipped missiles. There were four nuclear detonations and numerous missile tests during Obama’s era. As North Korea edged closer to becoming a state with a real nuclear deterrent, Trump inherited Obama’s hardline policy and, at the same time, decided to be more proactive in seeking an ultimate solution to North Korea’s nuclear and missile issue. Second, Trump has created a situation in which intensified confrontation between North Korea and the United States as well as North Korea and the international community should be settled in an expedited fashion. Without any external provocations, North Korea still has built-in motivation to undertake nuclear and missile tests in order to perfect its weapons systems, but Trump’s hostility toward and bellicose rhetoric against North Korea undoubtedly deepened North Korea’s anxiety, and thus “trapped” Pyongyang into hastily escalating missile and nuclear tests that crossed the psychological redline of many analysts, and helped to project the previous trouble-maker North Korea as a crisis-maker. Its frequent repetition of provocations helped to exhaust other countries’ patience, invite further sanctions, and build a strong case for the United States to punish it by taking military action. North Korea has been pushed to the edge of the cliff. Any major nuclear or missile provocation by it now may be the last straw that pulls the country off the cliff. Generally speaking, no matter who would have been the next president after Obama, North Korea would have been determined to advance its nuclear and missile weapons, but Trump’s presidency helped to stir up the situation and shorten the time for a faceoff between North Korea and the United States, as if Trump had no time to spare to settle North Korea’s nuclear and missile issues or strangle North Korea to death. The Security Council has adopted resolutions that were one step away from a total oil ban and economic sanctions. But Trump’s self-centered personality undercuts his efforts to seek an ultimate solution: on the one hand, he pits himself against “rocket man” by tweeting serial comments overshadowing the big picture, in which North Korea’s provocations actually run against the international community rather than the United States itself. On the other, Trump’s free-wheeling tweets often contradict senior officials’ public comments regarding North Korea, thus causing constant confusion as to who is in charge of US foreign policy and conveys its real intentions. The interactions between Trump and Kim Jong-un have pushed the game surrounding North Korea’s nuclear and missile weapons into a final stage. For North Korea, it has solved many puzzles about its nuclear and missile capability by developing a hydrogen bomb and ICBMs; it is just one step away from launching a nuclear-tipped ICBM following a normal trajectory. For the Security Council, it has adopted Resolution 2371 on August 5, 2017. As Nikki Haley claimed, “This resolution is the single largest economic sanctions package ever leveled against the North Korean regime. The price the North Korean leadership will pay for its continued nuclear and missile development will be the loss of one-third of its exports and hard currency”. Before the sanctions had time to cut deep and cause much damage to North Korea’s economy, on September 3 Pyongyang conducted its sixth nuclear detonation, which created a 6.3-magnitude earthquake. North Korea chose the date on purpose to register its strong frustration with China, its nominal ally, for its support of the recent resolution, on the eve of the BRICS summit it hosted in Beijing. The sixth nuclear test invited new sanctions. The Security Council quickly adopted Resolution 2375, which will fully ban over 90 percent of North Korea’s publicly reported exports. More than $1.3 billion in annual revenues will be cut from North Korea. More important, the resolution tackled North Korea’s import of oil, the lifeblood of its economy and military forces, and reduces about 30% of the oil provided to North Korea by cutting off over 55% of refined petroleum products going to it and imposing an annual cap of 2 million barrels per year for all refined petroleum products. Even though we still need more time to wait and see the effects of the newly added sanctions against North Korea, some preliminary conclusions could be drawn if all the resolutions against North Korea will be fully and strictly implemented. First, North Korea’s major industries will be greatly undermined. As the domestic market is too small to serve as a viable alternative to overseas markets, hundreds of thousands of workers, who make their living in the labor-intensive industries such as mining, fisheries, and textiles, will lose their jobs, thus adding significant woes to the already high level of unemployment in that country, symbolized by the practice of three-men-share-one-shovel. In association with the job losses, the living quality of more than a million North Koreans will be compromised. Second, the unfolding hardship that will be endured by the Korean people cannot be alleviated or overcome any time soon. Even though North Korea has built strong capacity to sustain external sanctions, it had never come under such tough and comprehensive sanctions before. Even if it can manage to survive, the ongoing confrontation between North Korea and other countries will continue to sap its strength and dim any hope for an improvement in people’s lives in that country. Third, the ongoing sanctions will exhaust any potential for economic and military development since any development will demand increased consumption of oil. As long as North Korea cannot drill oil from its territory and the cap on oil imports remains unchanged, North Korea will face an uphill, if not totally impossible, battle to promote economic or military development, let alone the two simultaneously. The new resolutions and the bleak future they pose for North Korea forced Kim Jong-un to convene the Second Plenum of the 7th Central Committee of the Workers’ Party of Korea in order to reshuffle party leadership and mobilize party support and promote so-called single-minded unity between the party and the masses to cope with the precarious situation. Here, he claimed, “Our cause is invincible as long as there is the solid self-supporting economic foundation laid by President Kim Il-sung and leader Kim Jong-il, a large contingent of scientists trained by our Party, the army and people armed with the revolutionary spirit of our Party and the tradition of self-reliance.” Yet, policy choices for North Korea are quite limited. If the current level of international sanctions persists, in the absence of additional provocations, the regime has little hope for survival. While North Korea does not want to collapse, any further provocation, such as testing a nuclear-tipped missile, will also invite further sanctions. What remain on the negotiating table for intensifying sanctions include suspension of tourism with North Korea, expansion of the oil ban to a half ban or even a total one, imposition of total economic sanctions, expulsion of all North Korean overseas workers, and suspension of all transportation ties with North Korea. If the Security Council agrees to impose a total ban on oil exports to North Korea, the regime in Pyongyang might not be able to survive for long. Overall, North Korea finds itself in an awkward situation, in which it cannot survive, either with or without further provocations. The only way for the North Korean regime to survive is to make a concession on its nuclear programs. Kim Jong-un has so far maintained that “the nuclear weapons of the DPRK are a precious fruit born from its people’s bloody struggle for defending the destiny and sovereignty of the country from the protracted nuclear threats of the U.S. imperialists. And they are a powerful deterrent firmly safeguarding the peace and security in the Korean peninsula and Northeast Asia and reliably guaranteeing the Korean nation’s sovereignty and rights to existence and development and a treasured sword of justice to remove the nuclear clouds of tyranny bringing a horrible disaster to mankind and make it possible for the people to lead an independent and happy life under the clear and blue sky.” However, if this belief persists, North Korea will go down to the road of self-destruction, and a military conflict between North Korea and the United States and its allies will become inevitable. Against the backdrop of Trump’s impatient, confrontational approach to North Korea, China held its Party Congress without a dark shadow from this explosive showdown. The relationship between Xi Jinping and Trump remain forward-looking, awaiting a visit to China by Trump just two weeks after the congress. Cooperation on sanctions resolutions in August and September proved reassuring. While the potential remains for US unilateral action that would disrupt Sino-US relations, careful management of a challenging relationship over the first ten months of Trump’s term assuaged some of the concerns, while China went ahead with its foremost political occasion over a five-year period. 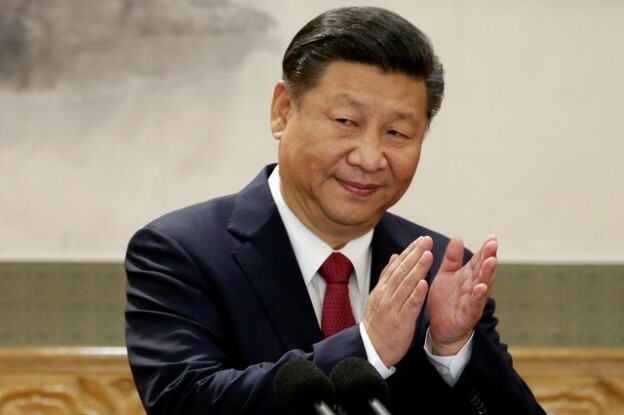 The party congress will partially free Xi Jinping from the party power struggle, which has not come to an end yet; he has more time to deal with external challenges. North Korea did not create trouble for the 19th Party Congress, but the fact cannot be hidden that its efforts to advance nuclear and missile weapons will be the first most prominent issue Xi should address. Xi is unlikely to make any dramatic changes in China’s policy toward North Korea since his maneuvering space is very limited. China will remain on the current trajectory in its relations with North Korea as long as the latter refuses to back off from its nuclear development. Trump’s planned visit to Beijing will offer him another chance to cement his relations with Xi and discuss all kinds of measures, sticks and carrots, they can take to cope with any renewed provocations from North Korea in the future, but the meetings between them will proceed well beyond the North Korea issue. Some other important bilateral, regional, and global issues may grab the headlines, if North Korea remains restrained during the course of Trump’s trips to Asia.